We don’t need ag magazines and experts to “describe the water.” We need someone to toss us a life vest, or a plausible solution! That’s why I’m concentrating on solutions to help create stability. For years, research has looked for corn silage products that are stable on the acre. Then researchers looked into delivering the very best nutritional matrix. The delicate balance is so important that early adopters are designing on-farm experiments to test their management systems. 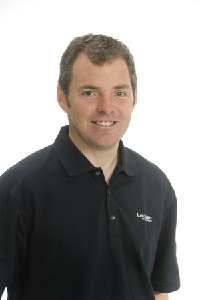 I’m excited that Phil Long is merging technology with a vision of the future with Latham’s Seed-2-Soil precision agriculture program services. 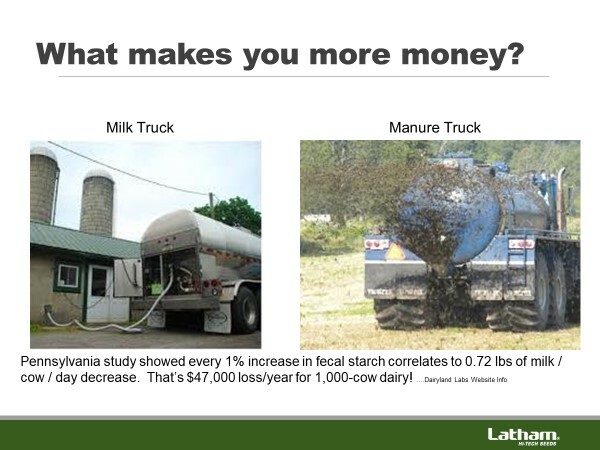 Little details like better starch and fiber digestibility in grain also make big differences. The image below illustrates the value of feeding hybrids with softer starch. We continually provide good data to help you make better seed product selections and transform research into useful on-farm results. 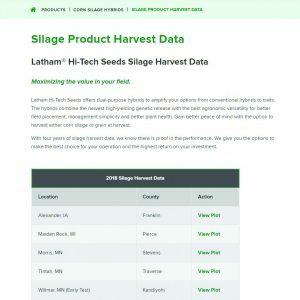 2018 corn silage data is available on Latham’s website. Feel free to contact me if you have any questions about setting up an on-farm research trial for forage products. In 2019, be open to exciting possibilities – and to trying something new on your farm!